GREATER SAVINGS. TOTAL CONTROL. CONVENIENT ACCESS. 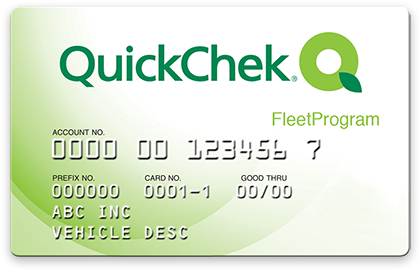 The QuickChek Fleet Program offers hassle-free savings on fuel purchases, while helping track, manage and optimize your company’s fleet fuel expenses.